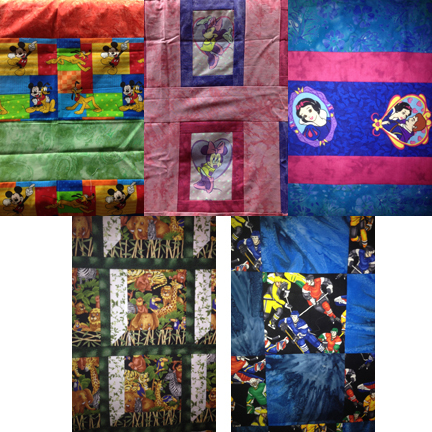 I’ve got 5 more quilts to add to my Q1 list for the 2014 finish-a-long bringing my total to 11 items (this is my first post for Q1). I’ve got 5 twin sized quilt tops that need to be quilted. They are going to be donated to Little Warriors Be Brave Ranch that is scheduled to open in June. The plan is to give each child a quilt that they not only use while they are at the Ranch but they get to take it home with them when they leave. Back in October I compiled my list of projects that I planned to finish in the final quarter of Leanne’s finish-a-long (read my post here). 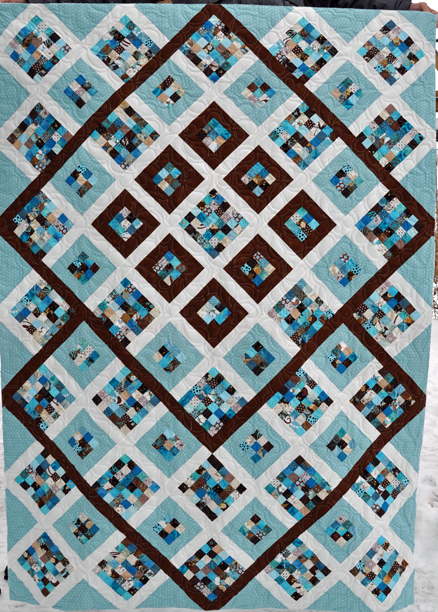 I am thrilled to say that I actually finished 12 of 13 projects that I listed. Yeah me!!! This is my last finish of the quarter. 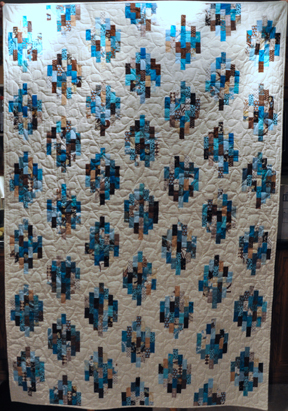 It is called Leftovers II and was the second quilt that I made from leftover fabric from my Blue Odyssey quilt. To see more pictures and read about the making of this quilt please click here.